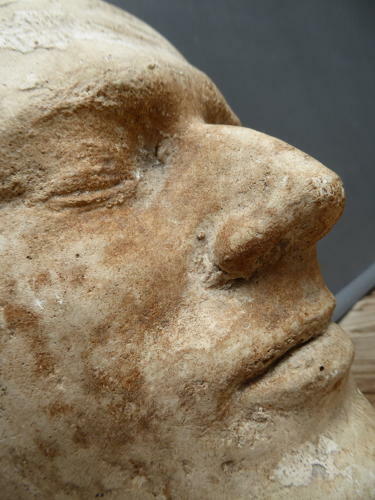 A wonderful example of an original antique plaster death mask. A haunting yet beautiful piece, cast in heavy plaster with what is likely the subjects name naively marked along the outer edge. The interesting age related patination & detail make this a comparitively excellent example & a fantastic display piece. Wear commensurate with age, very good untouched condition showing only pleasing signs of age.